Keeping you safe. Getting it done. Freightliner Sprinter vans are equipped with the innovative safety features that keep you, your crew, and your passengers as safe as possible, so you can concentrate on getting the job done.Freightliner Sprinter Cargo vans are equipped with the innovative safety features that keep you, your crew, and your passengers as safe as possible, so you can concentrate on getting the job done.Freightliner Sprinter Crew vans are equipped with the innovative safety features that keep you, your crew, and your passengers as safe as possible, so you can concentrate on getting the job done.Freightliner Sprinter Cab Chassis are equipped with the innovative safety features that keep you, your crew, and your passengers as safe as possible, so you can concentrate on getting the job done.Freightliner Sprinter Passenger vans are equipped with the innovative safety features that keep you, your crew, and your passengers as safe as possible, so you can concentrate on getting the job done. Keeping a lookout for you. 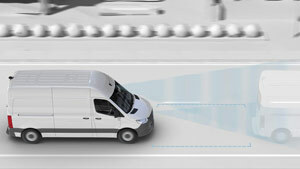 Active Brake Assist can warn you of oncoming danger and brake for you. And it’s the only system that can recognize and brake for pedestrians. Stay awake on the road. 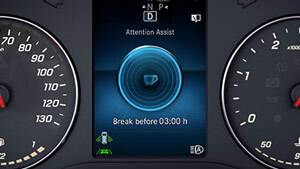 Attention Assist monitors your driving patterns for signs of fatigue, and gives you an early warning to make sure you’re not driving drowsy. Keep your distance. 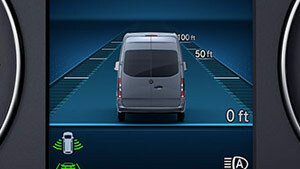 This feature will help you speed up or slow down to keep a safe distance from other vehicles. Say no to tailgating. Steady as you go. Since speed limits change unexpectedly, Traffic Sign Assist can help identify the right speed and let you know when it’s changed. Look better, see better. 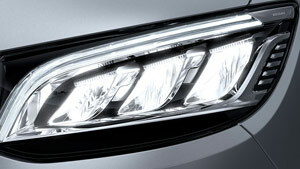 Optional LED headlights give your van a contemporary look, and maximize the view of the road ahead. Help is on the way. 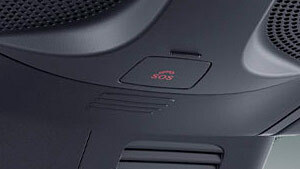 This standard feature can detect a crash, and immediately call for emergency first responders. Clear things up. 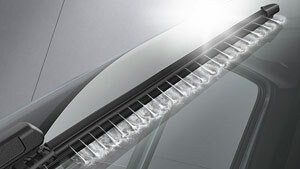 These enhanced windscreen wipers give you clean lines of sight if you have to wash your windshield as you drive. Stay in your lane. 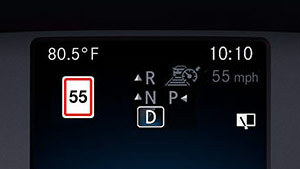 This feature can sense if you seem to be unintentionally changing lanes, and gives you a helpful visual and audio warning, and applies brake pressure to help you get back in line. 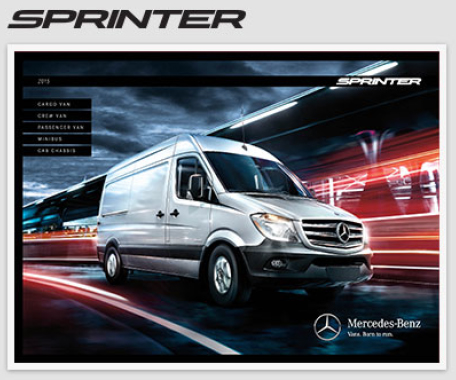 The Sprinter is the total package— tough, powerful, efficient, and flexible. So it can handle any conditions your work day throws at it. Haul away. 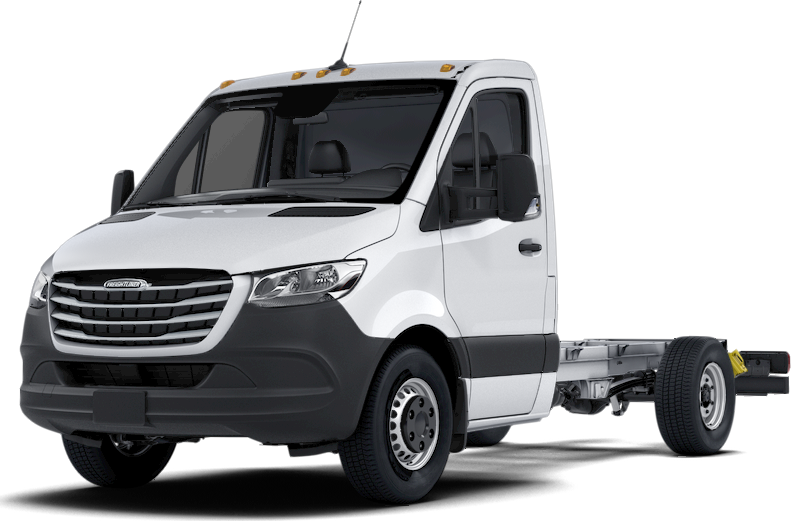 The new Sprinter gives you even more hauling options, with Gross Vehicle Weight ratings from 11,030 lbs. up to 12,125 lbs. With all-new connectivity features, you’ll stay in touch with the people and information that moves your business forward faster. Keep your drivers, managers, and vehicles connected with intelligent technology that improves productivity and drives your business ahead. 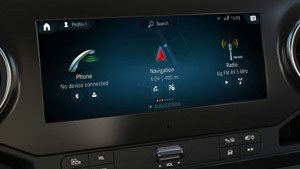 Our unique touchscreen with intelligent voice control gives your business an edge on the road. 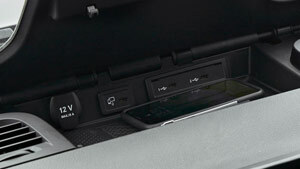 Add optional additional wireless charging and navigation to take it to the next level. Stay connected, stay safe. Our integrated system lets you stay connected to clients, teams, partners, and everyone else you need for your business, all hands free. As a business owner, you know buying quality for the long haul is always worth it for your bottom line. And Sprinter vans save through efficiency, retained value, and more. Fewer service visits means boosted efficiency. 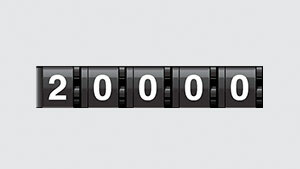 Keep your business rolling right along for up to 20,000 miles with this category-leading service interval. Keep your van on the road. 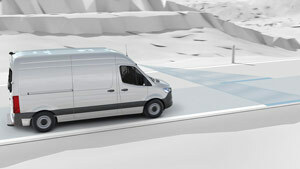 Sprinter vans’ quality and stamina makes sure your business saves time and money, staying more productive for longer. 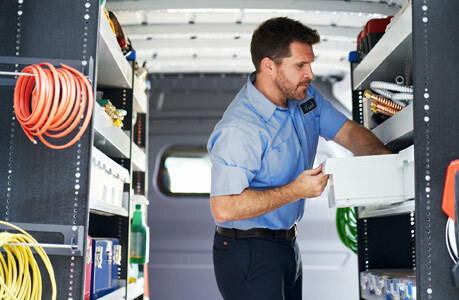 More than any other van in the category, Sprinter vans retain their value over time, so when it’s time to upgrade, you’ll get the most for your investment. With highly advanced features like Active Brake Assist, rear-view camera display, multimedia touch screen control and more, you’ll be taking to the road with ease. 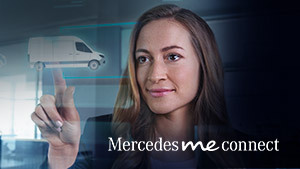 And when you connect drivers, vehicles, and managers with the brand-new Mercedes PRO connect, you can push your business even further. 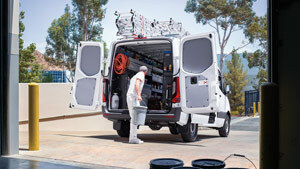 Upfit your van, boost your business. 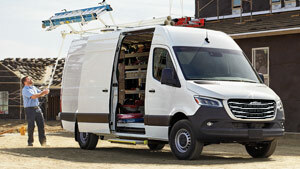 No van upfits like a Freightliner Sprinter Van. 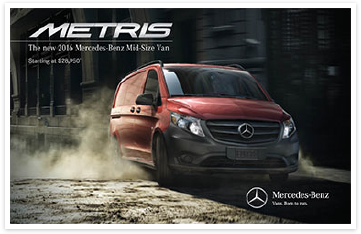 Whether for business or pleasure, Sprinter Vans offer superior capabilities designed to fit your needs, no matter what they may be. 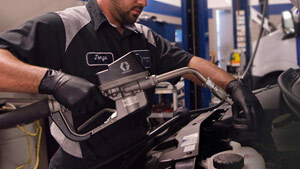 We offer upfitting solutions for a variety of vocations. Choose one below to get started with the van best recommended for you. Models shown may include options/packages not standard on a MY19 Sprinter. Specifications are subject to change. * Excludes all options, taxes, title, registration, transportation charge and dealer prep fee. Options shown. Not all options are available in the U.S. For a full offering and pricing information, visit your local Freightliner Sprinter dealership. Delayed availability. 32 There are numerous legal requirements concerning the towing of a trailer, eg. speed restrictions. Many states require a separate functional braking system for your trailer once a certain weight limit is exceeded. For reasons of safety, it is recommended that all trailers use a separate functional braking system. Make sure your vehicle/trailer combination complies with local laws. This not only means where you live, but also anywhere you are driving to. Information on this can be obtained from the police and local authorities. Practice driving around bends, stopping and backing up at a place where there is no traffic.